Paul Tucker was born in Hampshire, UK in 1965. He is a master of depicting the natural and urban landscape, often taking the viewer’s attention to the mundane or overlooked and bringing a powerful new resonance to the subject at hand. Imbued with an innate sense of the passing of time, Paul’s work captures traces of human activity, whether in a derelict factory, or the layers of decoration exposed by the refurbishment of a hitherto much-loved building. After studying at the UK’s Bath Academy of Art he has worked extensively as a photographer for designers and contemporary galleries, including Flowers Gallery (London and New York); Rocket Gallery (London) and The Multiple Store (London) among others. He has also done photographic work for many leading UK artists including Gavin Turk, Nicola Hicks, Andrew Logan and Carol Robertson. In his own photography practice he is a master of depicting the natural and urban landscape, often taking the viewer’s attention to the mundane or overlooked and bringing a powerful new resonance to the subject at hand. Imbued with an innate sense of the passing of time, Paul’s work captures traces of human activity, whether in a derelict factory, or the layers of decoration exposed by the refurbishment of a hitherto much-loved building. Paul’s projects are usually linked by a specific space, with colour, form and the abstract nature of photography being as crucial as context, and Paul’s particular way of visually ‘framing’ and using composition brings all these concerns together in a way that is both poetic and profound. 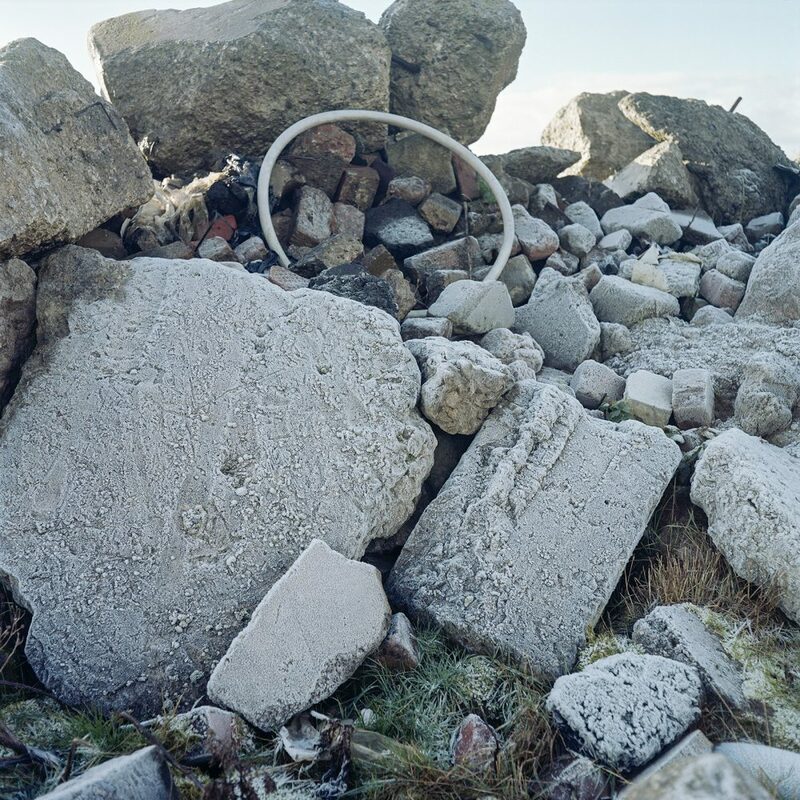 Such qualities abound in Wish You Were Here: an ongoing project, from which Paul’s print for Field Editions has been taken: Wish You Were Here: Stone Circle is one of several photographs taken on the site of a former Sand Works on the coast in Southport, near Liverpool, recording the way the landscape has been transformed by both man and nature. Paul visited and documented this site repeatedly, creating a series of images that reveal the familiar but also the constant and sometimes extraordinary, shifts and changes that occur with the passage of time. Paul lives and works in London and has exhibited extensively. He has photographic works held in many private collections and is a member of Image17, a photography collective based in London. The collaborative nature of Paul’s practice has often involved him in many projects, some still ongoing. Stranger Than Fiction, (2017) records the buildings of a book distributors, Central Books, before its move across London to new premises. Local Heroes (2013-18) records local east-end people and their contributions to the richness of cultural life in Waltham Forest, London, UK. Under the Surface, (2011) records the major refurbishment of The William Morris Gallery, first opened in London in 1950, revealing layers of its past and the reflecting on the museum’s future. Under Construction, (2007) in Dubai, explored the transformation of the desert into a modern city and the contrasts that exist therein. Select group exhibitions that Paul has shown in include The Royal Academy of Art, London (2017); Empire II, Venice Biennale, Venice, Italy (2017); Small is Beautiful, Flowers Gallery, New York (2015)USA; Sunday in the Park with Ed at Display Gallery, London (2015); Spaces in Transition, The Hamni Gallery, London (2013); Under the Surface, William Morris Museum, London (2012); Out on the Inside, Dubai (2009).